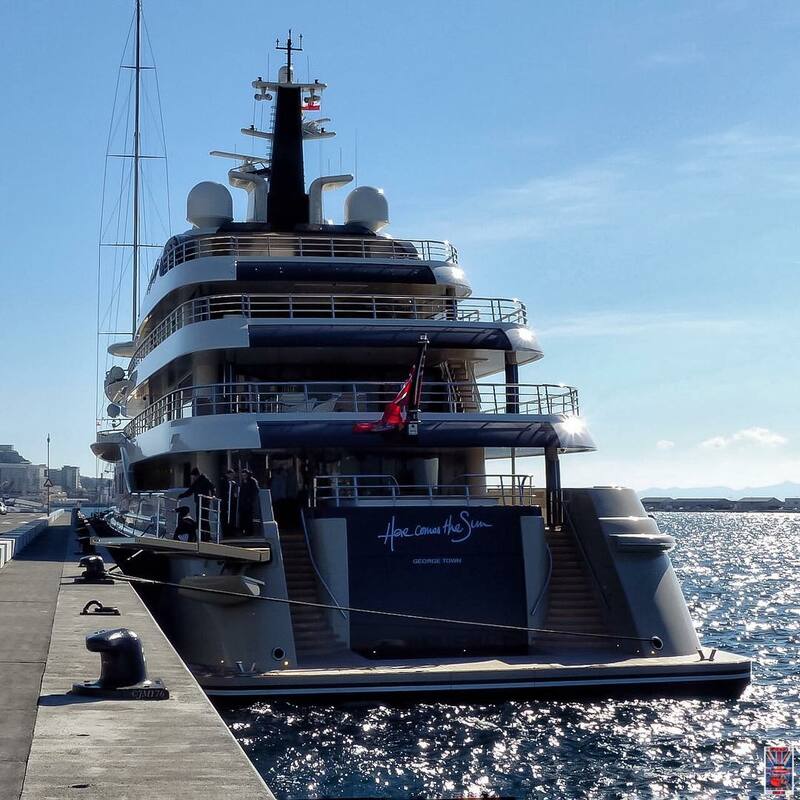 The newly built and just delivered Amels 83m (272′) superyacht Here Comes the Sun was recently spotted on what appears to be its maiden voyage in Gibraltar. It is currently the flagship of the Amels yacht fleet and the first of the Amels 272 Limited Edition line to be launched from the shipyard. 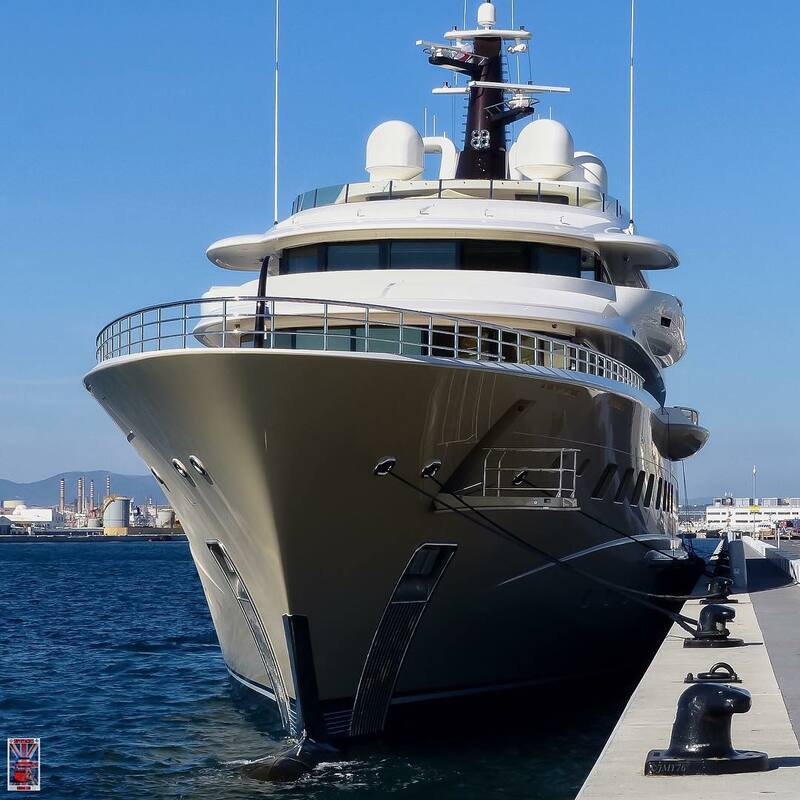 The newly built and recently delivered Amels superyacht “Here Comes the Sun” in Gibraltar. Photo by Jarrad @ superyachts_gibraltar. Here Comes the Sun was built with a displacement steel hull and aluminum superstructure that incorporates beautiful exterior lines designed by Tim Heywood. The six-deck layout and eight cabin interior with design by Winch Design includes accommodation for 16 guests and additional crew of up to 27. With a gross tonnage just over 2,800 Here Comes the Sun boasts enormous interior volume across those six decks, including an owners deck that is 42 meters long and encompasses a total area greater than 300 square meters (3229 square feet). 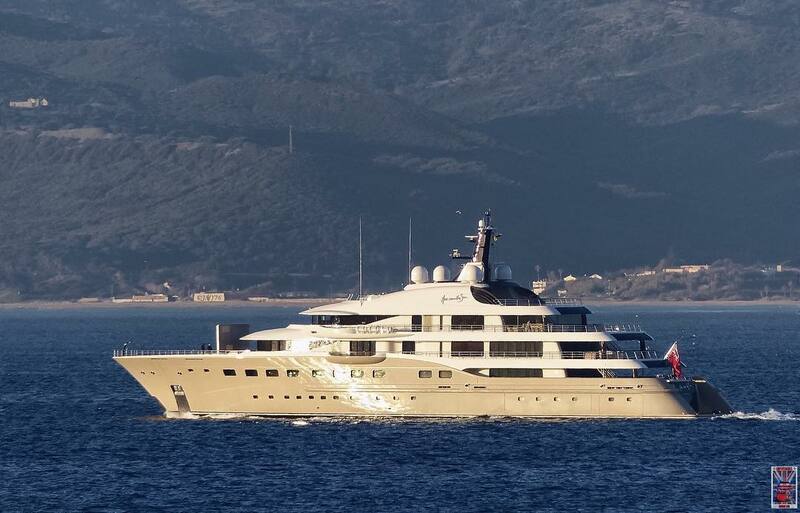 A transom view of Here Comes the Sun docked in Gibraltar. Photo by Jarrad @ superyachts_gibraltar. 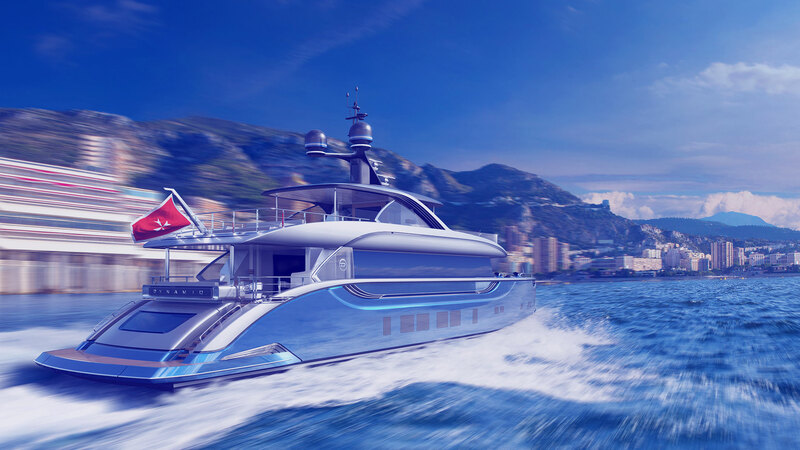 The superyacht is capable of a 17 knot top speed and 15 knot cruising speed thanks to twin Caterpillar diesel engines. At cruising speed Here Comes the Sun has a trans-oceanic cruising range in excess of 5,000 nautical miles. Little is known about the extent of the amenities on-board but Here Comes the Sun does include a helipad, large beach club and at least one swimming pool. The yacht is currently not available for private charter.